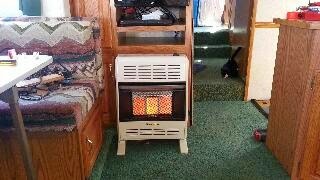 RV ADVENTURE BOUND: First trial of the new heater. Brought the temp from 37 to 65 in less than an hour on high. I had to turn it down!